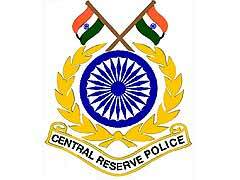 Central Reserve Police Force (CRPF) Medical Officer Selection Board (CAPFs) invites Online applications from Indian Citizens (Male & Female) for appointment to Group 'A' post of Specialist Medical Officers (Deputy Commandant), Medical Officers (Assistant Commandant) and Dental Surgeon(Assistant Commandant) in Central Armed Police Forces (BSF, CRPF, ITBP, SSB and Assam Rifles), Ministry of Home Affairs, Government of India. Eligible candidates apply within 30 days from the date of advertisement. (1) A recognized medical qualification of allopathic system of medicines included in the first or second schedule or Part-II of the third schedule (other than licentiate qualification) to the Indian Medical Council Act, 1956. Holders of educational qualifications included in Part-II of the third schedule should also fulfill the conditions stipulated in Sub Section (3) of Section (13) of the Indian Medical Council Act, 1956. The applicant must have permanent registration from any State Medical Council/ MCI before appointment in any of the CAPFs. (3) Should also possess Post Graduate Degree/Diploma in the concerned speciality mentioned in Section 'A' or in Section 'B' in Schedule-I or equivalent and one and a half years experience in the concerned speciality after obtaining PG Degree or two and half years experience after obtaining PG Diploma. (1) A recognized medical qualification of allopathic system of medicines included in the first or second schedule or Part-II of the third schedule (other than licentiate qualification) to the Indian Medical Council Act, 1956. Holders of educational qualifications included in Part-II of the third schedule should also fulfill the conditions stipulated in Sub Section (3) of Section (13) of the Indian Medical Council Act, 1956. The applicant must have permanent registration from any State Medical Council/MCI before appointment in any of the CAPFs. (3) Candidates who may be undergoing the rotating internship shall be eligible to apply and appear for the interview provided that if selected, they shall have satisfactorily completed the compulsory internship before appointment. (1) A Degree (Bachelor of Dental Surgery) from a recognized University/ Institution included in the schedule to the Dentists Act, 1948 (16 of 1948). (2) Should be registered with Dental Council of India. (3) Candidate should have Minimum 60% marks in aggregate in BDS exams. (4) Candidate should have cleared all BDS subjects in first attempt. (5) Post Degree work experience will be given preference. Selection Process: Eligible candidates will be called for Interview by a Board of Officers at designated centres to assess their suitability for appointment in CAPFs. Application Fee: A non refundable crossed IPO/ Bank Draft/ Banker Cheque of Nationalised Bank for ₹ 400/- only in favour of DIG (Adm), Directorate General, CRPF payable at State Bank of India, CGO Complex, Lodhi Road New Delhi, along with application form. SC, ST and Female candidate are exempted from paying Fees. COMPLEX, LODHI ROAD, NEW DELHI - 110003 within 30 days from the date of publication of advertisement in Employment News Paper (i.e. Last date will be 04/07/2017). 45 days from the date of publication of this advertisement for candidates residing in Assam, Meghalaya, Arunachal Pradesh, Mizoram, Manipur, Nagaland, Tripura, Sikkim, Jammu & Kashmir, Lahaul & Spiti District and Pangi Sub Division of Chamba District of Himachal Pradesh, Andaman & Nicobar Islands, Lakshadweep or abroad. The postal Covers containing applications must be super scribed in bold letters as "APPLICATION FOR THE POST OF SPECIALIST MEDICAL OFFICERS (DEPUTY COMMANDANT)/ MEDICAL OFFICERS (ASSISTANT COMMANDANT)/ DENTAL SURGEON(ASSISTANT COMMANDANT)" in CAPFs-2016.